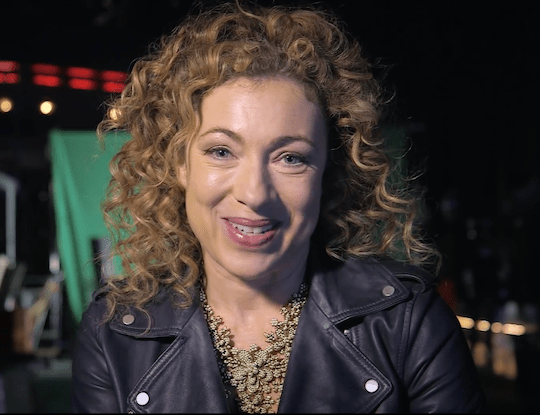 The BBC have released some behind-the-scenes footage from Doctor Who Christmas Special, The Husbands of River Song – watch them in the players below. Featured are Greg Davies (King Hydroflax) and Alex Kingston (River Song). In the players below can check out some festive fun from the Doctor Who cast and crew including: Peter Capaldi (The Doctor), Jenna Coleman (Clara), Alex Kingston (River Song), Michelle Gomez (Missy), Ingrid Oliver (Osgood), Maisie Williams (Ashildr), Paul Kaye (Prentis) and Matt Lucas (Nardole).